A decade of free video service all over the world is what YouTube has accomplished after being bought over by Google. Ever since Google introduced ads on YouTube, the free video service is now crawling with annoying in-video ads, which seems like a necessary evil. While there are plenty of ways to block these ads through drastic measures, you can also simply skip YouTube ads on Android. A talented developer named Erwin Goslawski has created a solution to intrusive YouTube ads, which does not require you to root your device. Moreover, not only is Erwin’s app – Cygery ApSkip in compliance with Google policy, it is available free of cost for now. To download Cygery AdSkip app, head over to the XDA thread about the app and scroll down to download the .apk (link here). Before installing the app, make sure that you have “Unknown Sources” enabled from the Settings. Open Settings -> Security -> Unknown Sources and press the toggle switch to enable the option for installing apps directly. Once you have enabled this option, tap on the download Cygery AdSkip app and install it on your Android device. The very first time you launch Cygery AdSkip after installing, the app with prompt you to enable the accessibility service. Tap on “OK”, select “Cygery AdSkip Service” on the screen and then press the toggle switch next to it. 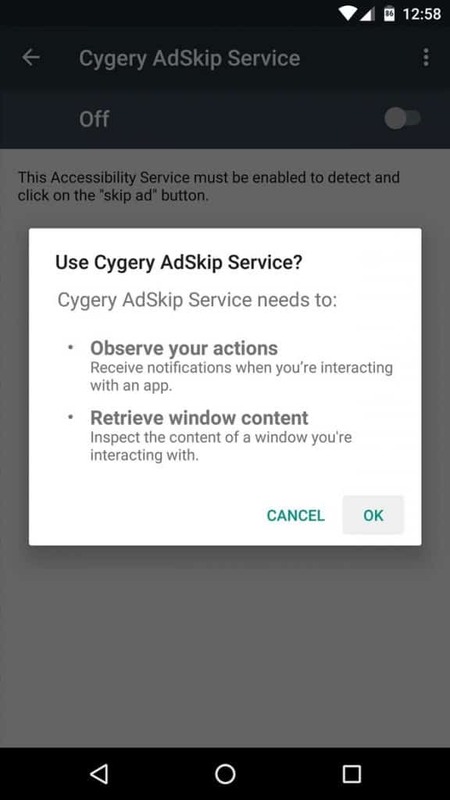 Head back over to the Cygery AdSkip app to finish the setup process and make sure that you leave the “Enabled” option checked. 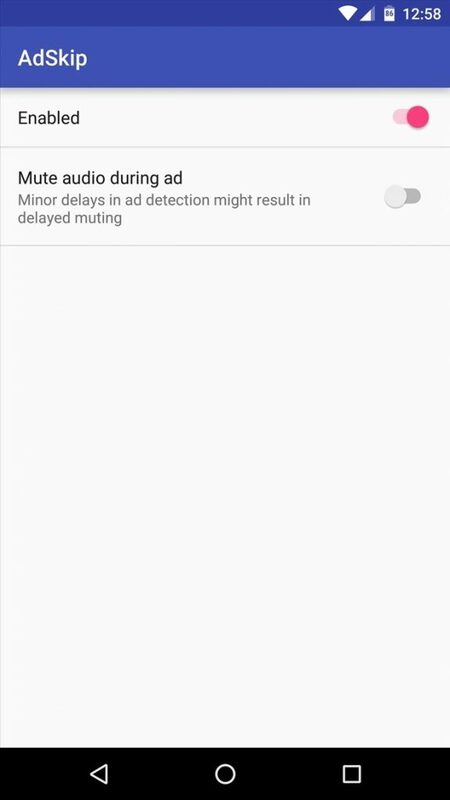 Some users have reported that the app causes minor delay when the “Mute audio during ad” option is enabled, so may want to consider disabling it if the sound does not seem too intrusive. Now that you’re all set, start off with the YouTube app on your Android device and wait for ads to appear. 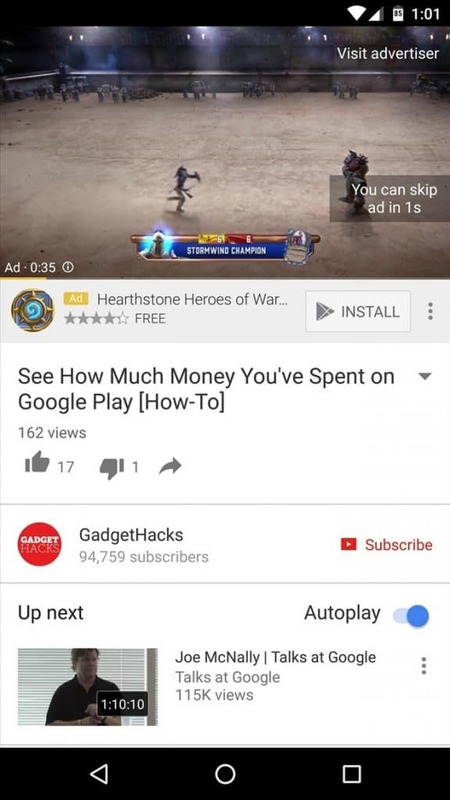 The way Cygery AdSkip works is that it helps you skip YouTube ads by automatically pressing the “Skip ad” button that appears on the bottom-right of the screen. If you have left the “Mute audio during ad” option enabled, it also makes the intrusive ads silent, so you don’t have to listen to commercial jabber. 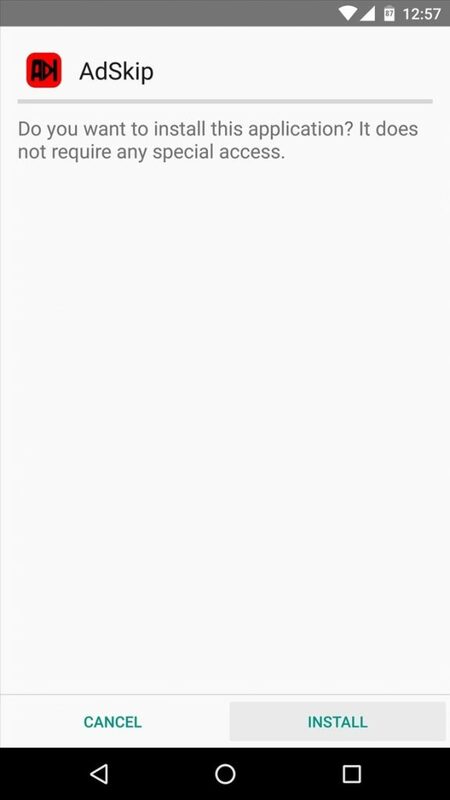 This makes your YouTube experience as minimally intrusive as possible, while keeping the ads right there. So you don’t feel guilty of enjoying YouTube without helping them make money. Do you like the non-intrusive, yet ethical approach that Cygery AdSkip uses to skip YouTube ads on Android? Would you rather root your Android device and find a more permanent solution to blocking ads on YouTube? Let us know your thoughts in the comments section below.